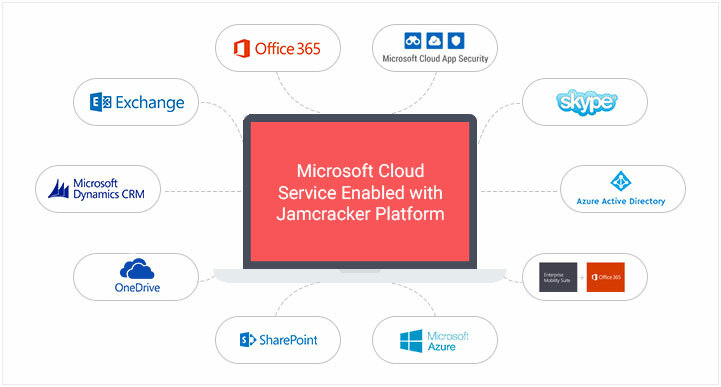 Jamcracker Cloud Management Platform enables Microsoft CSP partners to offer a wide range of Office 365 services to their customers. The platform does all management of the entire lifecycle of Microsoft Office 365 services that include from order to cash. The platform enables both direct partner and distributors to resell Microsoft office 365 services. Capability to import and manage customers and subscriptions for existing Microsoft partner. Differential pricing to optimize revenue potential. The billing engine manages both complex multi-tier subscriptions and usage-based billing. Settlement report to reconcile with Microsoft. Ability to provide discounts and promotions. Active Directory or Active Directory Federation Services (ADFS) support to onboard new and existing users. Complete lifecycle management of services. Dashboards to visualize the utilization of services by cost, order status, license status etc. Provides the choice of payment through various payment methods. Supports Microsoft CSP multi-partner and multi-channel functionality. Customers who have an existing tenant relationship with Microsoft can order services from a different Microsoft Office 365 CSP partner. Use existing Microsoft primary domain while ordering a Microsoft CSP SaaS services.